Senate President, Dr. Bukola Saraki, has said that the present administration has brought so much hardship on Nigerians. He called on Nigerians to ensure the removal of President Muhammadu Buhari and the All Progressives Congress, APC, in 2019. 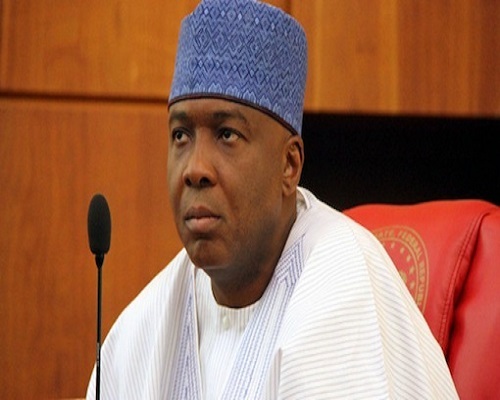 Saraki spoke Tuesday during a programme aired on four Radio stations, including Radio Nigeria (Harmony FM) Idofian, Royal FM, Sobi FM and Radio Kwara. Saraki said, “Times are very hard for the masses as a result of the level of poverty in the country. Without sentiment, the present government has failed Nigerians. They must, therefore, ensure they vote for a leader that will address poverty and revive the economy, said Saraki. “Nigerians will vote in February 2019 but the business community has already passed a vote of no confidence on this present government. “I, therefore, urge Nigerians to vote out this government and vote a man that will restore investors’ confidence and get Nigeria working again. It is only one party that loves the common people and that’s our party, the PDP. “I’m in politics to serve my people. When I campaigned in 2015, I pledged to Nigerians that my former party, APC will address the issues of insecurity, unemployment and poverty but unfortunately the party has failed on all these three scorelines.